One half of the podcasting world's most amusing, esoteric and silly duo, Helen Zaltzman is our guest. 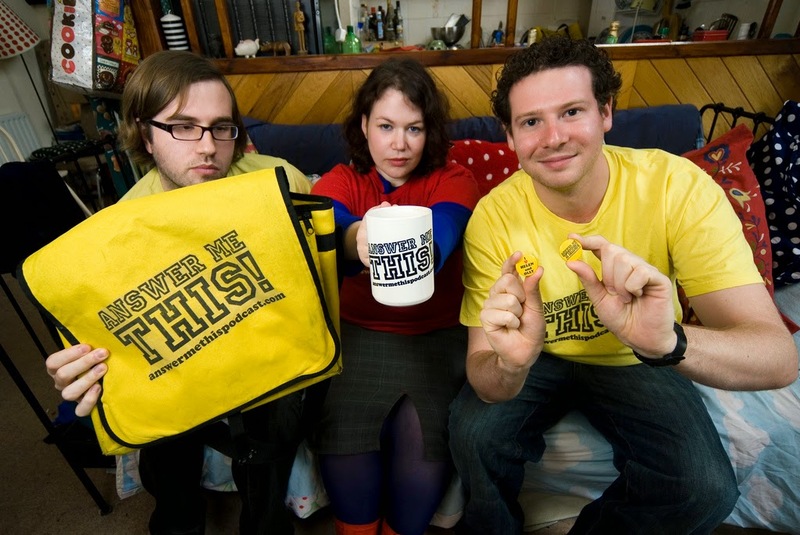 Her question and answer podcast, launched in 2007 and presented in tandem with Olly Mann, has won an armful of gongs, a world full of followers and imparted important knowledge in response to teasers such as why do round pizzas come in square boxes. Here Helen tells me tales of her podcasting royalty family - which she shares with The Bugle's Andy Zaltzman - how she's answers that mountain of questions and what tune makes her punch the air. She might even answer a few queries too. Stream the show here or download it as podcast (just type 'shadowplayboys' into iTunes) and subscribe to Desert Isolation Discs. Desert Isolation Discs aims to capture the essence of the people we interview through their music choices. We talk to creative types and music lovers about the songs they could not live without if stranded in a desert in a comfortable if lonely situation. You can subscribe to the show as a podcast here. This blog and podcast are an original production. Any resemblance to real radio shows, particularly on the fourth BBC station, is purely coincidental. The songs are shortened in recorded versions for rights reasons. This blog is led by Alex Lawson who runs ShadowPlay Fanzine.